An assortment of replacement stones commonly used in antique and vintage jewelry. 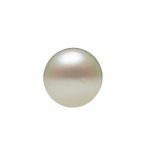 You will find old European cut cubic zirconia in white, warm tones or champagne color, old mine cut cubic zirconia, marcasites, full drilled cultured pearls, half drilled cultured pearls, seed pearls, etc. 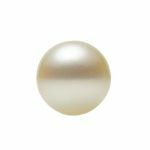 1.0mm to 3.5mm round white cultured pearl that is undrilled and used for replacements, repairs and in antique designed jewelry. Sold individually. Hard to find, loose Bohemian style round rose cut blue topaz for replacement in an antique jewelry or to use in your made to order antique and vintage designed jewelry. Hard to find, loose Bohemian style round rose cut Rhodolite garnet for replacement in an antique jewelry or to use in your made to order antique and vintage designed jewelry. Hard to find, loose Bohemian style round or oval rose cut red garnet for replacement in antique jewelry or to use in your made to order antique and vintage designed jewelry. Hard to find, loose Bohemian style round rose cut amethyst for replacement in an antique jewelry or to use in your made to order antique and vintage designed jewelry. Natural full drilled irregular round shape seed pearls for replacements repairs of Victorian and vintage jewelry. They are full drilled and sold in either 1" sections with approx. 20 to 25 pearls or by the 20" strand. Square loose marcasite replacement stones for vintage jewelry. Having rose cut tops and flat bottoms. Sold in packages of 12. Round loose Marcasite replacement stones for vintage jewelry. Having a six sided rose cut top and flat bottom. Sold in packages of 12. Quality loose half drilled Japanese saltwater Akoya cultured pearl for replacements & repairs. Sold individually. White colored half round cultured seed pearl for replacements & repairs to your antique jewelry. Sold individually. 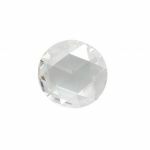 Hard to find, loose old European cut light champagne color cubic zirconia for replacement in an antique jewelry or to use in your made to order antique and vintage designed jewelry. 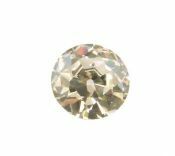 Hard to find, loose old European cut champagne colored cubic zirconia for replacement in an antique jewelry or to use in your made to order antique and vintage designed jewelry.